Buckley Industrial is a distributor for some of the world’s leading hose reel manufacturers including Coxreels, Koreel, Reelworks and Macnaught (Retracta). 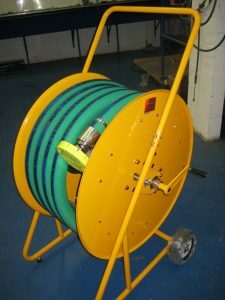 Offering a wide range of hose reels, including spring forward hose reels, manual rewind hose reels and portable hose reels for air, water, steam, fuel, oil, grease and welding applications for use in a variety of different environments, we believe we can always supply a reel that will meet or exceed our customers’ requirements. Hose Reels can be supplied with or without hose as well as additional fittings such as spray and filling nozzles. A major advantage of having your hose reel fully assembled by Buckley Industrial is that the complete assembly can be tested using our highly advanced Hose Inspection & Testing facilities before being put into service. This will ensure there are no leaks from joints between the hose and the reel as well as reassuring our customers that the full assembly is fit for purpose. 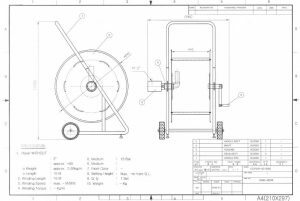 The components on nearly all of the Hose Reels supplied by Buckley Industrial can be varied, tailoring the unit to best suit customer requirements. This includes offering the reel with either spring or manual rewind functions and changing the position of the roller arm to allow a wide range of mounting options. Specification sheets and drawings are available on request. If you are after a hose reel please complete our 365 Forms – Hose Reel Enquiry Form so that we can specify the correct reel for your application.